A 2007 edition of ALPHABET magazine presented graphic design approaches to tactile visual styles. 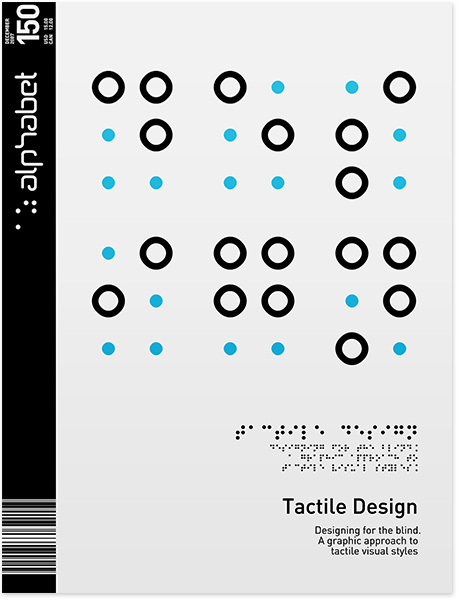 Varied custom braille typefaces included beveled typography for a sensory experience. This entry was posted in blind, graphic, typo. Bookmark the permalink.